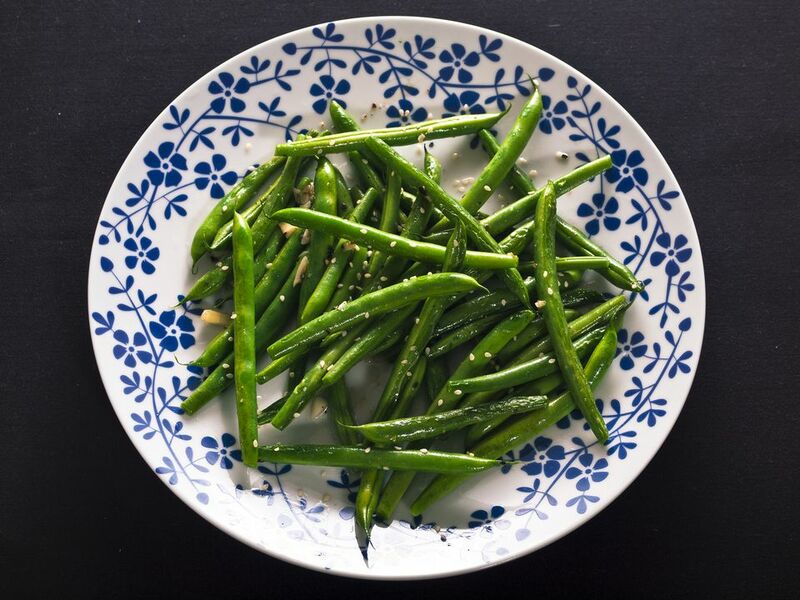 Give frozen veggies an instant upgrade with artist Susan Portman's recipe for sesame green beans. Gently flavored with teriyaki, olive oil, and garlic and tossed with sesame seeds, they're the perfect complement to a meat and potato dinner. Carrots can be added for a more colorful side dish. Bring a small amount of water to a boil in a large saucepan. Add the green beans and cook until crisp-tender. (You can also use a vegetable steamer.) Drain. If you are using carrots as well, steam them until cooked through and drain. Warm the oil in a chef's pan or large skillet set over medium-high heat. Add the garlic and sauté until fragrant, about 1 minute. Add the steamed vegetables and sauté to coat with the olive oil and garlic. Stir in the teriyaki sauce. Add the sesame seeds and toss to coat. Remove from the heat and transfer to a serving bowl. Serve warm.